The Annals of Vertebral Subluxation Research published a case study on November 19, 2018, documenting the care of a young man who was suffering with diabetes mellitus and chronic mid back pain being helped by chiropractic. The study begins by stating that type 1 diabetes mellitus has serious short-term and long- term health implications. 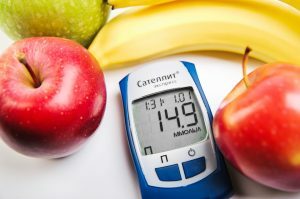 The U.S. Centers for Disease Control report that if a 10-year-old child was diagnosed with type 1 diabetes in the year 2000, they would probably lose on average between 18.7 and 19.0 life-years. It is the neurological component of the subluxation that opens the door to studying the effects of chiropractic on a wide variety of health issues such as the one discussed in this study. In this case study, a 26-year-old man went to the chiropractor with the primary complaint of chronic mid-back pain for the past nine years. Additionally, he had been medically diagnosed with type 1 diabetes mellitus since he was 3 years old. The young man reported that he had managed his blood-glucose with insulin therapy via an insulin pump. He rated his mid back pain as a 7 out of 10 with 10 being the worst. A chiropractic examination was performed which included using an SF-36 health survey form designed to measure a patient’s assessment of their quality of life. In addition, the man was vigilant in continuing to monitor his blood glucose level as he had been for years. Specific forms of regular chiropractic care were started. The care rendered was not for treatment of his diabetes, but was focused on correction of the subluxations which were determined to be present in his mid-back, known as the thoracic spine. The man was instructed not to change any of his treatments or managements of his diabetes. After 7 weeks of chiropractic care, the man reported that his mid back pain had reduced significantly. Upon testing, it was also shown that the man had an improved blood glucose average. Since the man monitored his sugar level in real time, he reported that his blood glucose levels were lower on the days that he received chiropractic care. The man was reassessed 16 months later to see how his progress was maintained. From this assessment, it was shown that his mid back pain had maintained the reduction he had previously experienced. His quality of life assessment had also shown significant improvement. Additionally, it was shown that his blood glucose level had remained lower and he was able to reduce the amount of insulin that he had needed.